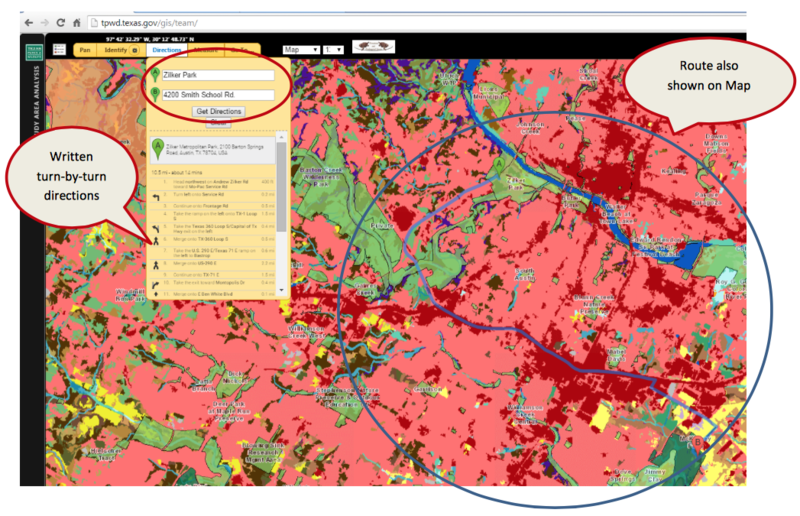 Interactive mapping tool to assist in understanding Texas habitats and to integrate Ecological Mapping Systems Data with land management and resource planning of all types. Information regarding new tools or layers available in the TEAM application can always be found here. October 2015 – Buffer Tool is now live! Buffer lines, points, and polygons to create a custom vegetation report. Check out this instructional video to learn more about what the TEAM app can do. The interactive mapping tool user guide provides visual instructions that describe key functions of the application.